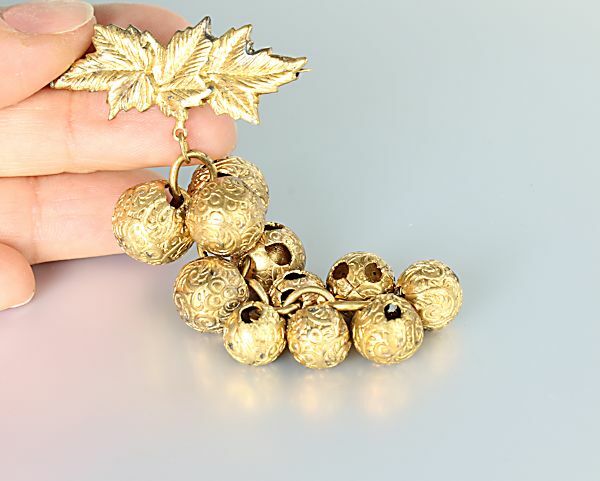 1920s art deco brooch with a fruit design. 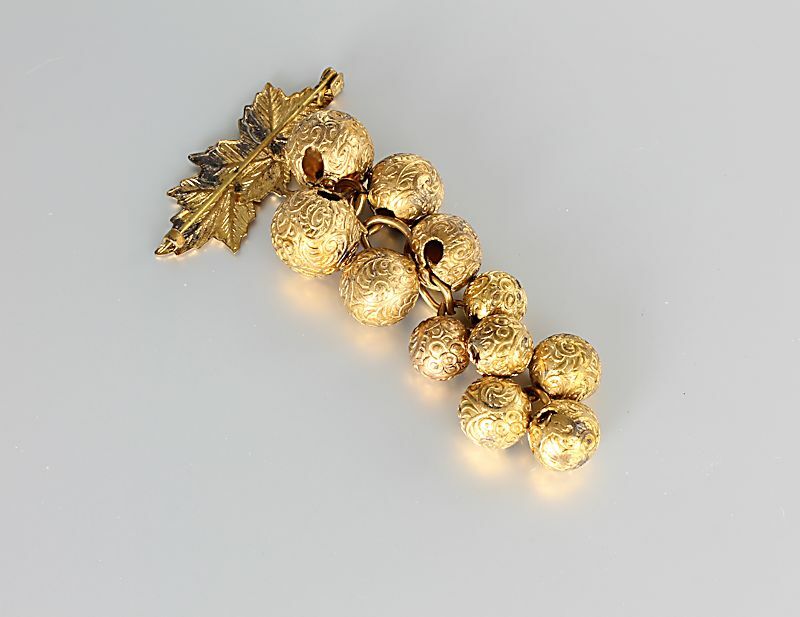 Embossed brass beads graduating in size hang freely from a chain in the shape of a grape bunch. Veined leaves are used as accent and support for the clasp finding. 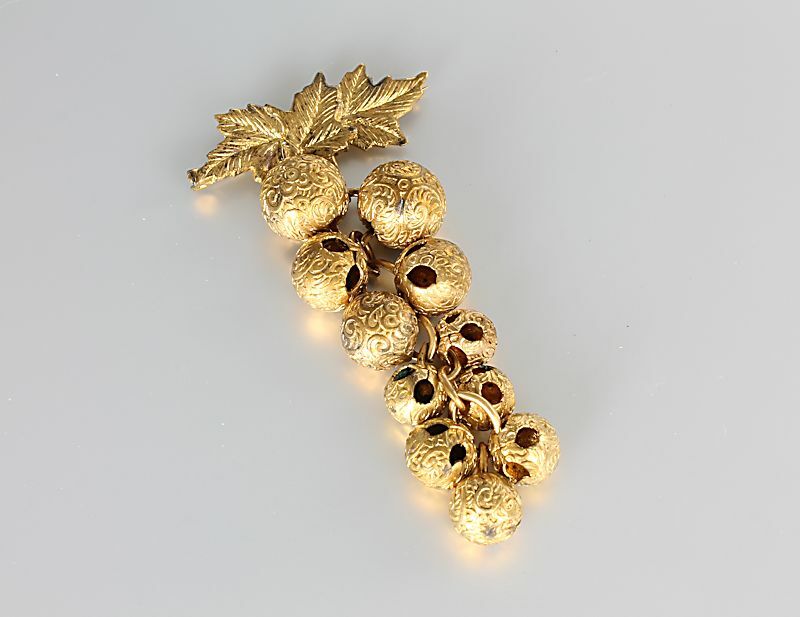 Brooch measures 3 1/8 inches in length and 1 1/2 inches in width. 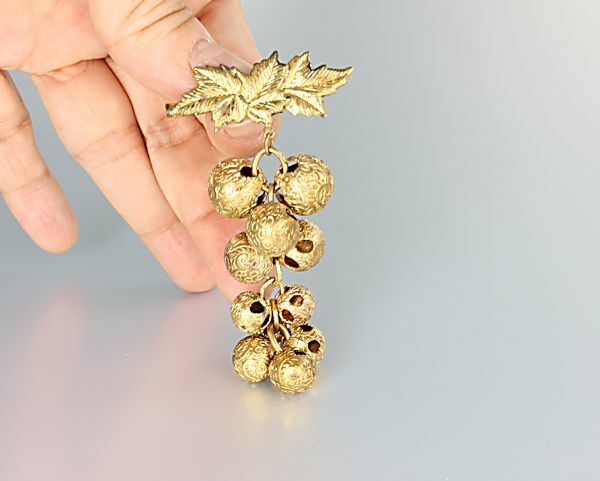 In very good vintage condition with some wear to the gold plate on the reverse of the leaves.